The three-finger salute which Katniss Everdeen does in The Hunger Games has become a real-life symbol of resistance to the military coup in Thailand. To the point where the ruling junta has said it may arrest people for doing it, if they're in a large group and refuse to lower their arms. In Hunger Games, Katniss' salute becomes a rallying point, and other people who copy her are attacked by the Capitol's regime. And according to Associated Press, the salute has become "an unofficial symbol of opposition to the coup" in Thailand. 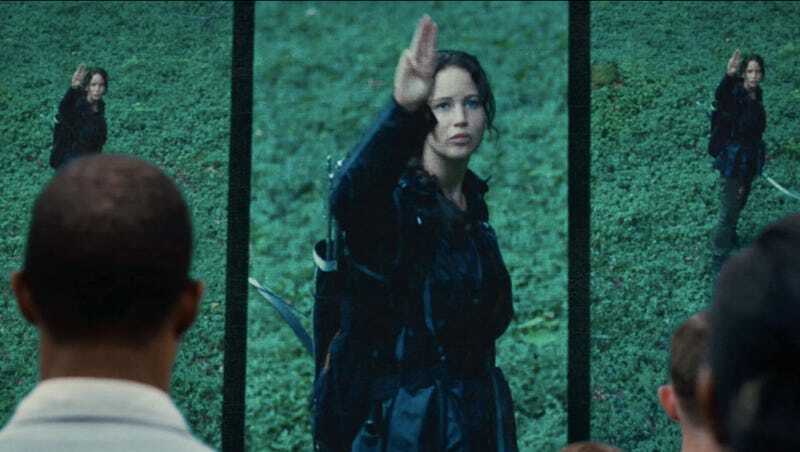 With the government deploying 6,000 soldiers and police in Bangkok to control protestors, people have chosen "creative forms of protest," like wearing masks... or doing Katniss' salute. At this point we are monitoring the movement. If it is an obvious form of resistance, then we have to control it so it doesn't cause any disorder in the country.